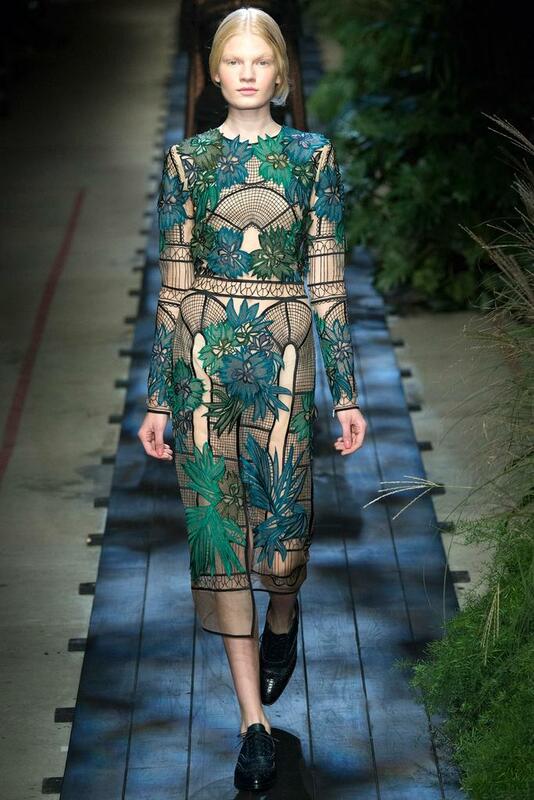 Thank you for reblogging Erdem Moralioglu’s florally see-through masterpiece ! I see the 1998 version of Great Expectations’ lushly, deteriorating ballroom where Ethan Hawke and Gweneth Paltrow dance. Love the colors and floral design. Thank you ! What a fantastic tribute to Katharine Hepburn’s royally timeless elegance ! This model seems to be in a lot of the photos you post. Is she one of the top ones? This German beauty, named Eleonora Baumann, did a lot of shows for S/S 2015, so I guess she’ll be soon huge (she has only started 2 years ago !). this dress is a serious masterpiece, we are in love!!! the delicate lace and the silhouettte and the colors are all beyond gorgeous! oh how we’ve missed reading your blog!! !